Boston.com's photo array of birds caught in the big oil spill in the Gulf has generated over 2,990 comments at the point that I type this. If you take a look at them you can understand why. 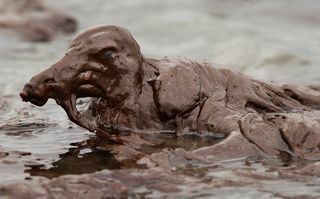 This entry was posted in Current Affairs, Environment and tagged bp, oil spill, picture on June 8, 2010 by Jon Lowder.